Austin, Bryan, Corpus Christi, Houston, Laredo, Pharr, San Antonio, Temple, and Victoria. Gulf International Trucks, International Trucks of Houston, Longhorn International, and Santex Truck Centers, make up the Kyrish Truck Center Group, owned and operated by the Kyrish family. Kyrish Truck Centers are International dealerships concentrating on medium duty, heavy duty trucks, and severe service duty trucks. Brand names such as ProStar, DuraStar, TerraStar, TranStar, LoneStar trucks and the 9000 Series. We offer both Navistar and Cummins engines to power your diesel commercial trucks. Other makes available within the Kyrish Truck Center network of dealers in Texas include Crane Carrier Company, Isuzu Trucks, Hino, Miller wrecker bodies, and Mitsubishi Fuso work trucks. We have a great selection of new as well as all makes of used trucks available for sale. If you are not yet ready to commit to a purchase, we also have medium duty truck rentals. Let one of our truck centers by your only Fuso dealer.Along with the International dealerships, the Kyrish family also owns and operates Longhorn Bus Sales, 7 Idealease locations and Kyrish Government Group. Longhorn Bus Sales is your destination for new IC School Buses, IC Activity/MFSAB Buses, and IC Commercial Buses with sales, parts and service Texas wide. Longhorn Bus Sales has been serving the Texas school bus market since 1974. 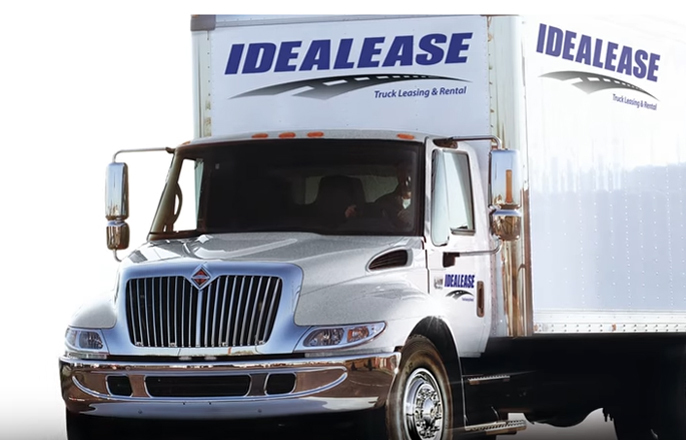 Idealease, Inc. is the premier transportation company in North America. Idealease simplifies truck transportation with industry leading commercial vehicles spec’d to customer needs, superior service and predictable cost. The total Idealease fleet includes more than 45,000 trucks, tractors, and trailers. Four hundred and thirty Idealease locations in the U.S., Canada and Mexico have the most qualified service technicians, diagnostics technology and truck expertise in the transportation industry. Our seven Idealease locations are wholly owned subsidiaries of Kyrish Truck Centers, leasing and renting trucks in Austin, Round Rock, Houston, La Feria, San Antonio, and Temple. The Kyrish Idealease organization operates and maintains a fleet of more than 1,700 vehicles and provides convenient and efficient service to customers in central and southern Texas. The company offers full service leasing, contract maintenance, rental, logistics, safety and compliance programs, and many other transportation related services. Kyrish Government Group is a small business company which serves the defense and emergency service market sector. Located in the Central Texas corridor and 3.2 miles from Ft.Hood, the regional service center is a 21 acre facility complex housing over 80,000 square feet of service, equipment refurbishment, and logistical warehousing capacity.